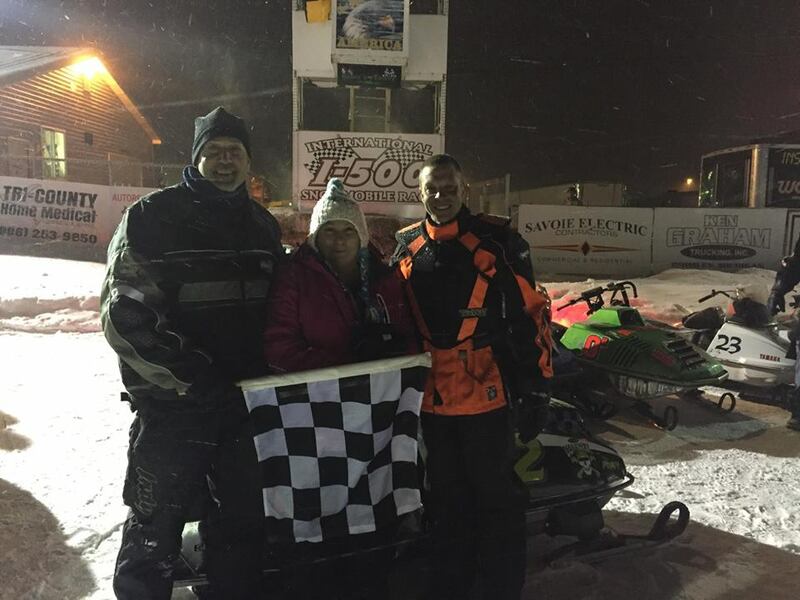 Traverse City, Michigan rider, Chris Kelly won the Pole for the G.L.A.S.S. Series Vintage Snowmobiles portion of the 48th Annual I-500. His #2 Woody’s Traction / Yamaha would then go on to lead all 40 laps for the emotional victory in the Brad Redman Memorial which completes Day III in Sault Ste. Marie, Michigan. 1) Kelly, 2) Greg Lynch, 3) John Wilkos, 4) Jeff Malaska, 5) Dustin Fierek.